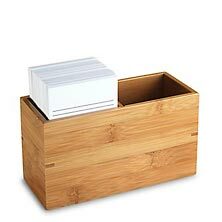 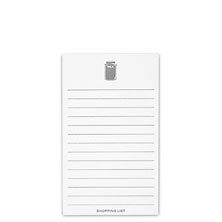 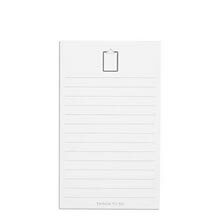 Searching for note cards or card holders to add to your organizational style, look no further. 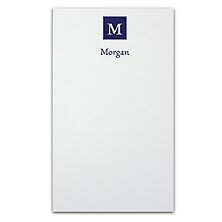 Our customized note cards come in an array of styles and can be customized with your personal type set and color. 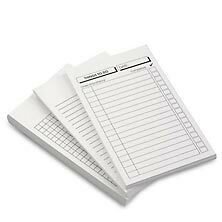 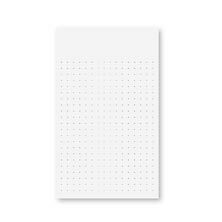 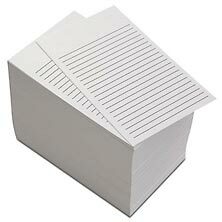 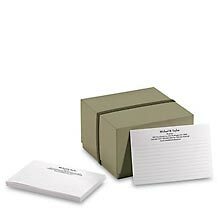 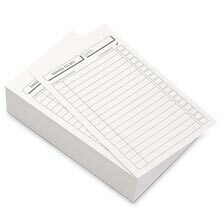 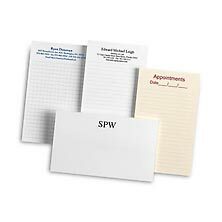 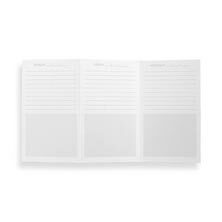 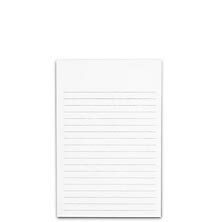 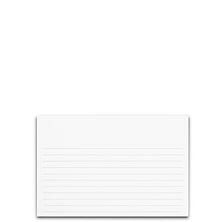 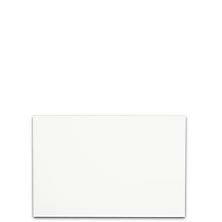 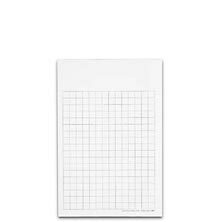 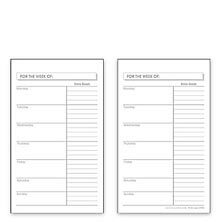 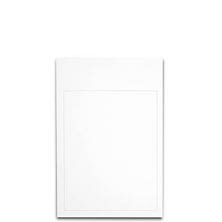 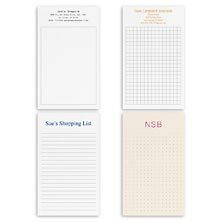 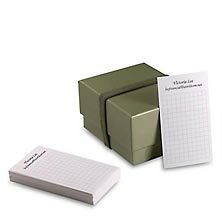 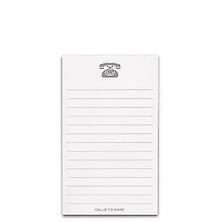 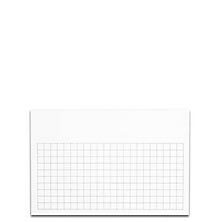 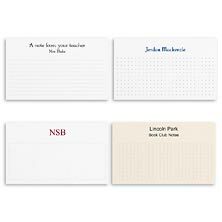 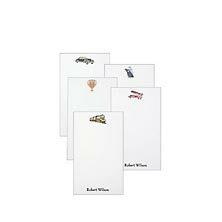 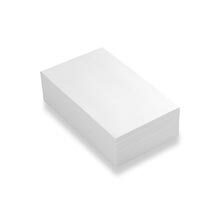 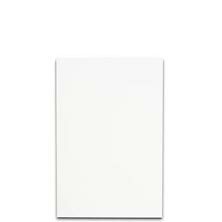 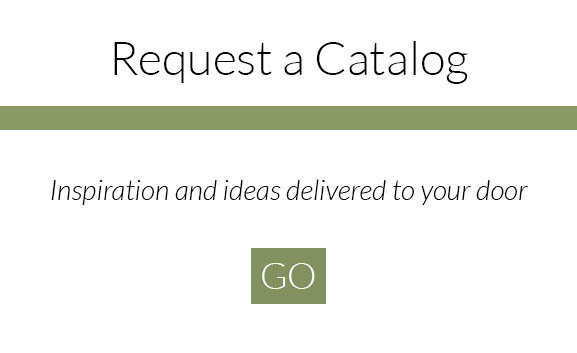 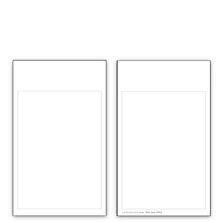 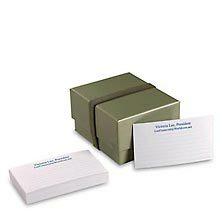 Choose from our fine selection of high quality 3 x 5 index cards and 4 x 6 index cards. 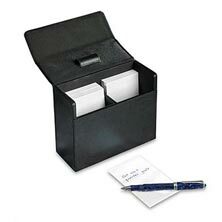 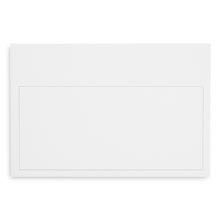 You will also find wallet card holders to have a stylish and accessible place to stow your personalized index cards. 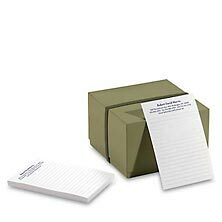 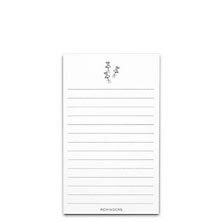 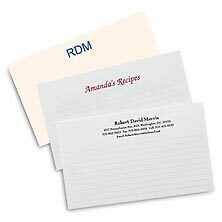 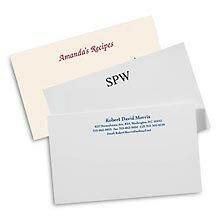 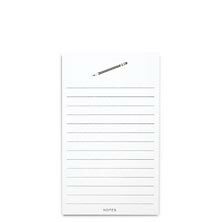 Our customized note cards are better than ordinary index cards for jotting quick notes and organizing ideas. 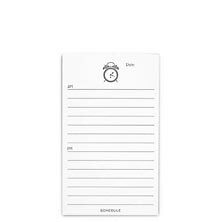 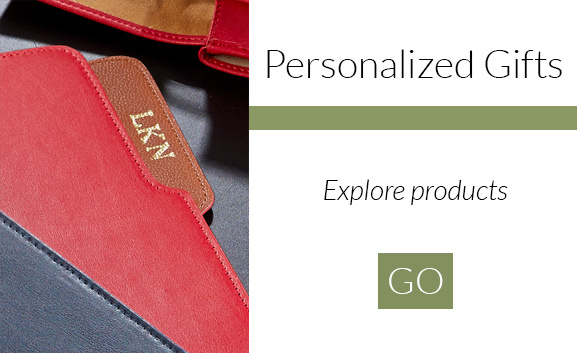 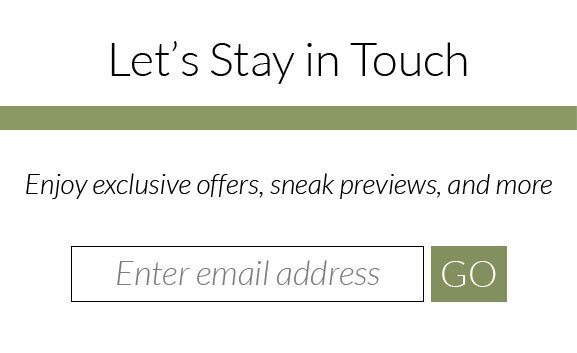 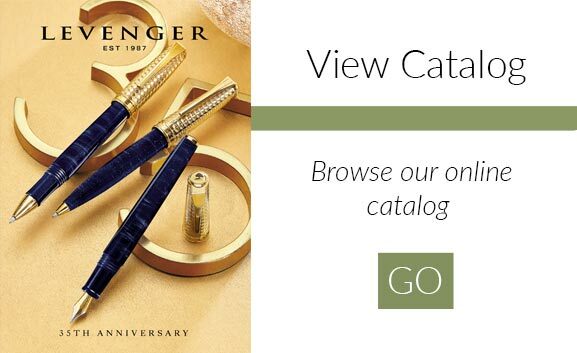 Personalize them today and organize your life with style.